Plovdiv is a city on the main road from Sofia to Istanbul. 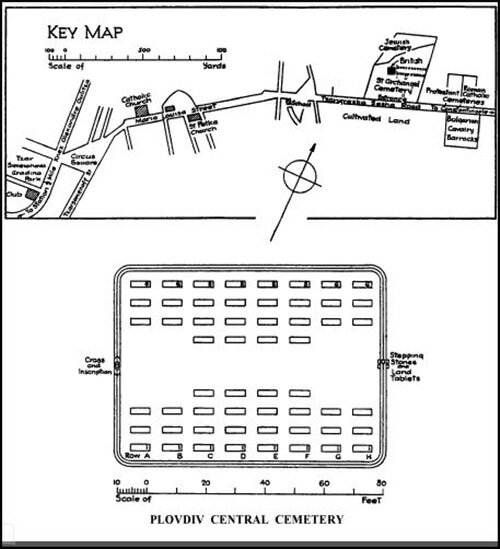 Plovdiv Central Cemetery is about 1 kilometre from the city centre, within the city limits, with the entrance being around 100 metres north from the crossroads of Bulevard Iztochen (route number 862) and Bulevard Maria Luiza. As you enter the main entrance to Plovdiv Central Cemetery, take the first turning on the right in front of the church. Continue and take the third road on the left. The Commission cemetery is located at the end of this road and is surrounded by a low brick wall. 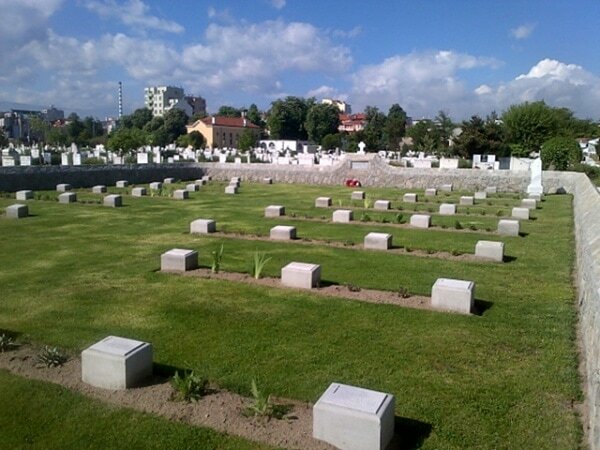 Philippopolis Protestant Cemetery; Philippopolis Roman Catholic Cemetery; Karagatch Protestant Cemetery; Kostenecbanja British Cemetery; Kurtova Konare Civil Cemetery; Mustafa Pasha British Cemetery and Tatar Pazardzik Protestant Cemetery. 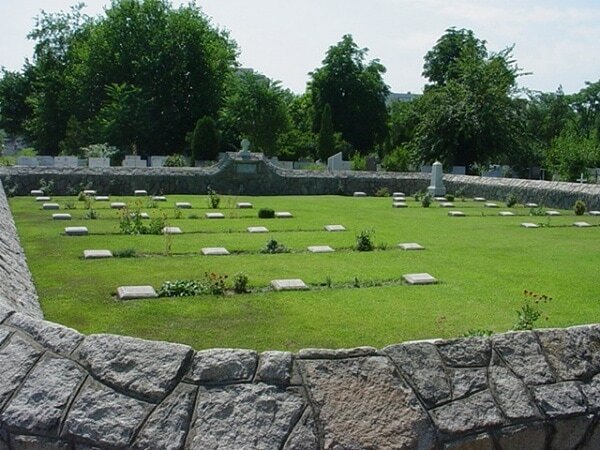 The cemetery now contains 55 Commonwealth burials of the First World War. 8th Oxfordshire & Buckinghamshire L.I. 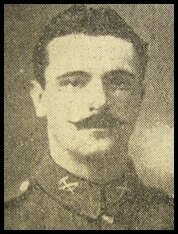 Died on pneumonia 19th November 1918, aged 28. Husband of Emma Harrison, of 14, Mitella St., Burnley.